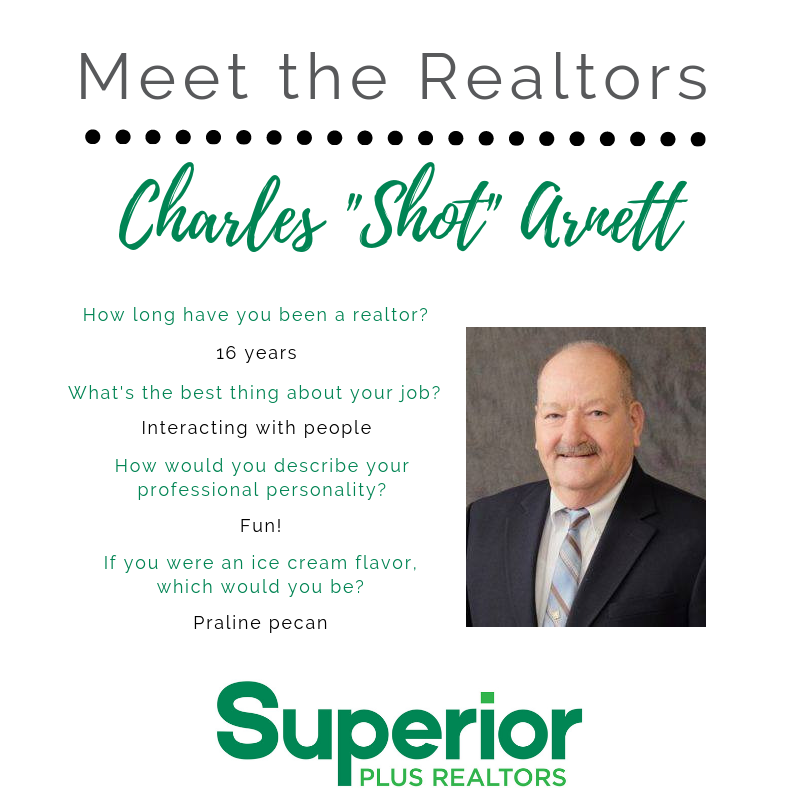 Charles “Shot” Arnett has been a realtor with Superior PLUS (previously Yocum Realty) since 2002. Before getting into real estate, Shot worked in various foundries as a foreman. Becoming a realtor was a natural fit for Shot; he’s always enjoyed getting out the house and meeting new people. Ice cream flavor: Praline pecan!